Whether it’s a weekend break, or a longer vacation, being a student in New York is amazing if you know where to go and what to do. Many students are on a tight budget, so let this guide point you in the right direction for cheap, and free things to do while in the Big Apple. If you have never been to New York, everything is a new experience. If you want a day with absolutely no plans, go for a walk with your group. No matter where you are in the city there will be something, or someone, amazing to see. Take a stroll around the streets of New York and take in the vibe. Pop into a café or a gallery or stroll Central Park. If during your walk you want to find some local entertainment, search Craigslist New York for area gig and show listings. It may be a cliché, but it’s a must-see cliché. Times Square is vibrant by day and at night, with street performers, neon lights and bustling crowds giving the area a feel-good ambience. 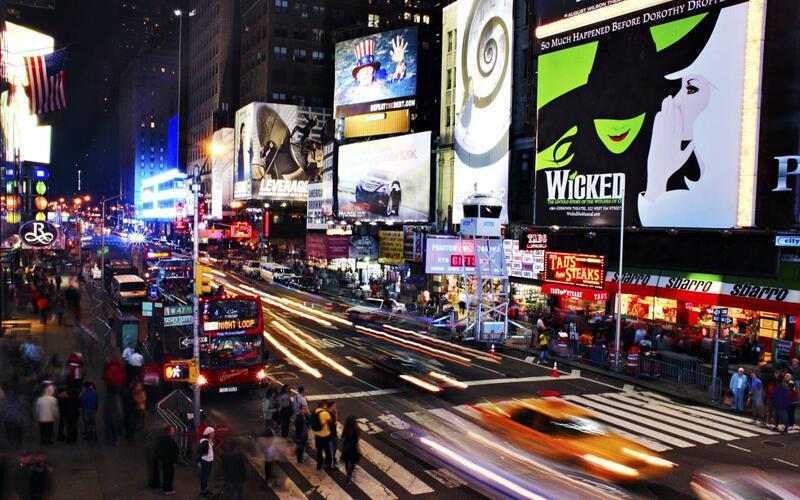 Times Square is also the place to go and take in a Broadway show. There are plenty of booths offering reduced prices and day-of-show deals for various performances which is perfect for students on a budget. One of the best things about Times Square is the close proximity to museums and visitor attractions. For example, at the Times Square Museum & Visitors center you can learn about the history of Times Square and even write a personal wish that will be placed in the New Year’s Eve Ball. Get down to Chelsea Piers on a Wednesday night to view the latest movies on a gigantic outdoor screen. It is completely free and you can even munch on some free popcorn. This is the perfect romantic date destination, so take the one you love for a picnic and movie night beneath the stars. 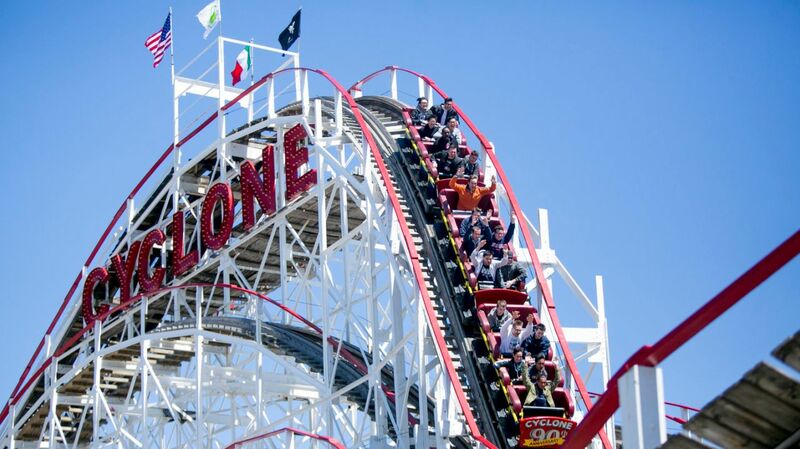 When visiting New York between Easter and Halloween take advantage of Luna Park at Coney Island. Teeming with retro rides and arcade games, this legendary theme park will have you feeling like a kid in no time. During the day, a stroll along the beach is a must, and at night enjoy all the fun of the fair with rollercoasters, hotdogs and cotton candy waiting to be enjoyed. Pick up a bargain or two at the weekend flea markets in Williamsburg, Brooklyn, Chelsea, and SoHo. These stunning indoor and outdoor markets boast stalls of hand crafted jewelry, local designer clothing, and vintage goods at low prices. You could happily spend a day browsing one of these markets and you are certain to discover at least one thing that will look great in your dorm. New York is an incredible city and well worth a trip with friends, especially when you need some time away from your studies.